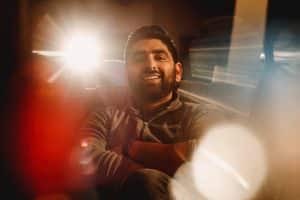 Hi, I’m Nav – Founder and Photographer at Nav Badel Photography. Choosing your wedding photographer is a big deal. Almost as big a deal as picking the right wedding dress, or venue…almost! You are placing responsibility on your wedding photographer to creatively produce images that tell the story of your wedding day. When you book me as your wedding photographer, I work hard to deliver images that you will fall in love with and treasure for years to come. My approach to wedding photography is to stay calm, to have fun, and to be organised. I’ll know when to blend into the background (like a Ninja) and to crack jokes with your friends and family. All with the ultimate aim of making sure that you, your friends and family feel relaxed in front of the camera. This is so that I can creatively capture the natural moments as they unfold throughout your wedding day; from getting ready and saying “I do”, through to your portrait shoot capturing you both looking your finest. I want the photographs I take on your wedding day to be a part of your family’s history. Something your children, grandchildren and beyond will enjoy! Whether you’re months away, or it’s just around the corner, I’d love to have a chat about your wedding plans. Dates are filling up fast, so say hi and tell me about your wedding. In the meantime, flick through my Portfolio, Blog or follow me on my Facebook or, Instagram page.